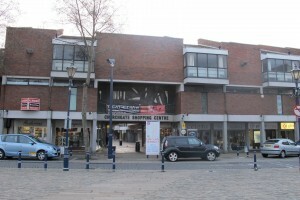 Churchgate: This was discussed at NHDC’s Full Council meeting on Thursday February 12th. The Churchgate – council report seemed positive in looking forward for a small scale development and seeking a solution for the market. The obvious concern that has arisen due to the death of David Payne, the owner of Hammersmatch and leaseholder of Churchgate, was evident. His sons and agent were present and are clear that they will be seeking to fulfil David’s wishes for the long awaited refurbishment and extension of the area. Councillors mostly focussed on the market and the need for it to remain a successful and central attraction for Hitchin. There was some discussion about whether permanent stalls are really shops, and there is likely to be ongoing debate about the size of the market, and the proportion of stalls that are ‘demountable’. The current delapidation of the fabric is evident, but the siting is the most contentious issue in any new plans. The last Hammersmatch scheme displaced it so that the proposed cinema would have an adjoining car park. This seems unfortunate, inappropriate and unnecessary and we hope that some creative solution will be found. The responsibility for a ‘solution’ clearly lies with any developer and the Council, with full community consultation. We look forward to the next step.